No. proudly introduces another artist to their ever growing catalogue - Steve Law (also known as "Zen Paradox") has been producing electronic music in Australia since the early 1980's. During that time he has gained a reputation as one of Australia's foremost electronic artists. His history with "No." co-founder Atom™ goes back to the mid '90s when they both met for the first time as 'label mates' of now long defunct record companies. 20 years later they both got in touch again and Steve was invited to compose and eventually release some of his new material on No. "Anatomy in Suspension", the album Steve Law conceived is now being released as catalogue number 904, being part of the classic ambient series the "No." label started off with. That said, "Anatomy in Suspension" perfectly fits the 900 series, by painting lush and sometimes dark ambient landscapes with bold yet subtle strokes as in the opening title "Ascension Engine". 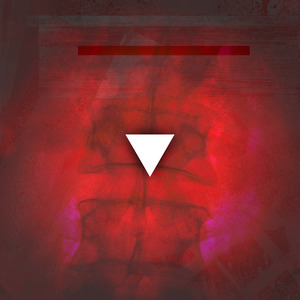 Tracks 2 ("Lumbar Spasm") and 3 ("Neural Arch") then introduce rhythmical elements in a slightly more abstract and industrial sounding way, to finally conclude the album with the hypnotical yet unsettling "L1 Burst". All titles written & produced by Steve Law. Recorded at Solitary Sound, North Melbourne, Australia, Nov. 2012 - May 2014. Mastered by Atom™. Artwork by Material Object and the Artist.